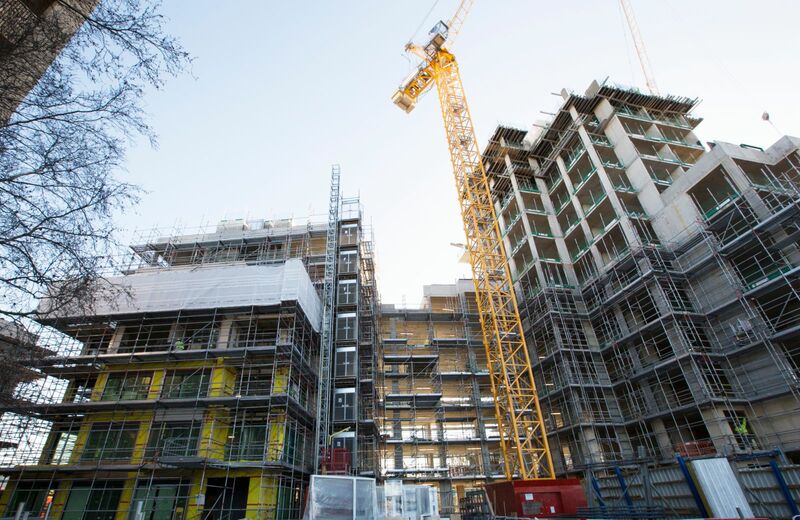 After vital early engagement and pre-planning with the client, Redrow Homes, TRAD designed and built one of the largest and most impressive Plettac Metrix system scaffolds to date in Croydon. 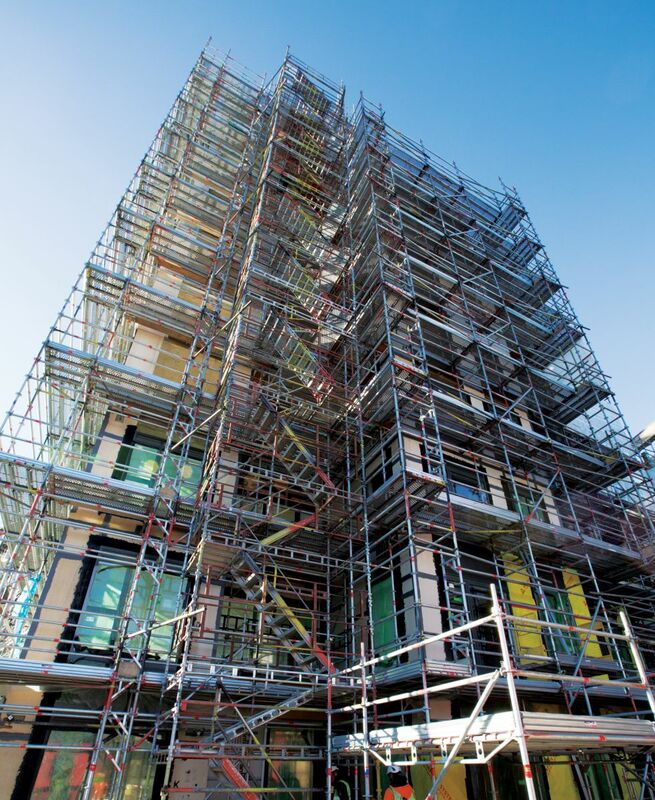 The scaffolding package was worth in excess of £1 million and featured over 20,000m2 of revolutionary Plettac Metrix system scaffold. The scaffold stood proudly adjacent to one of Britain’s busiest railway interchanges at East Croydon station, and significant sections of the scaffolding itself were in close proximity to the main railway line into London and out to the Southcoast. This allowed the equipment to highlight its benefits – with no components longer than 4m and minimal small scaffold fittings – so there was less risk when handling close to the railway line. 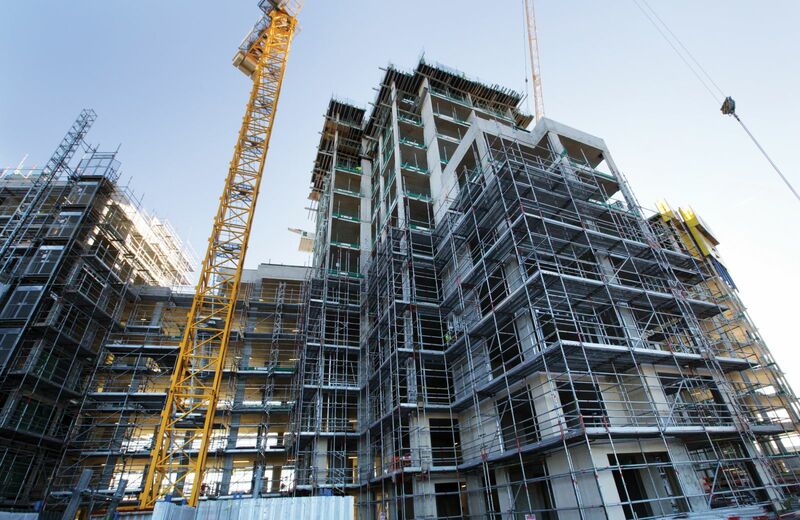 The design of the scaffold around the buildings also negated the need for any adaptions and provided a speedy erection process for the client, with a very competitive cost. The project is due for completion in late 2016 and has drawn many admiring comments, both from the public passing on trains and indeed some competitors. We would like to thank our site team for the safe and diligent approach taken on the project allowing an on-time and on-budget delivery.